Using the latest equipment and technology, learn how to install, calibrate, modify, troubleshoot, repair, and maintain electrical and automated systems. The curriculum provides students with the diverse skill set required to install, calibrate, modify, troubleshoot, repair, and maintain automated systems. Students also may have the opportunity to benefit from interactions with Penn College's National Sustainable Structures Center, one of the nation's premier resources for technical training and education in the field. "What's unique about my education from Penn College is that it's one of a few that offers this growing program. The equipment is always changing to suit an ever-changing world of technology. 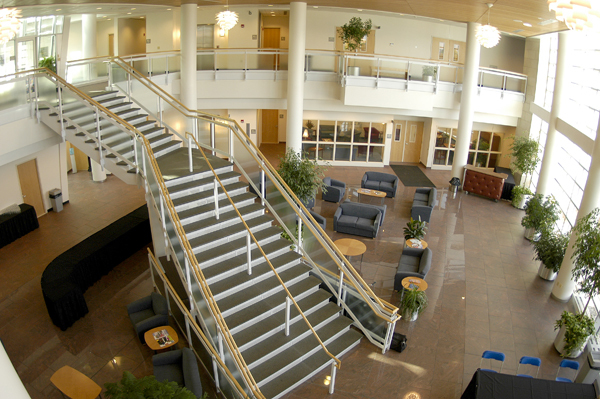 Several companies I have talked with say that Penn College offers a major that suits their needs. Furthermore, we are taught more than what they expect, keeping in mind that several education moments have to be acquired in the field and on the jobsite first hand." "Penn College did so much more for me than give me a career, it helped me realize my dreams and taught me how to pursue them. It gave me the tools to make a difference in the world." Read more about what Adam has to say about Penn College.